I am a born and raised Michigander, lived in the upper part most of my life. I’ve always been creative, but it was mostly with drawing (not painting, I barely have the patience unless it’s abstract.) What influenced my art was my Grandpa Beaudin. He did a lot of oil paintings and I loved them and wanted to do something creative as well. All though high school, I took art and went to Grand Valley State University for a 1.5 for art. I dropped out because I couldn’t see where an art degree would take me besides teaching… I have the maternal instincts of a rock. In fact, a rock has more. About two years ago, I got a little idea and decided to write it down for fun. Then I got another. And another. They just kept coming! Honestly, sometimes I’d like to turn the ideas off. Ugh, yes. It’s not a bad job, it’s just EARLY. I work at hotel/restaurant as the morning prep cook. I make sure the continental breakfast is stock (meaning sometimes I have to be in at 5:30am and I am not a morning person.) Plus I make muffins, desserts and pasta salads for banquets, weddings and the weekend salad bar. I think I have yet to consider myself a writer. Maybe it hasn’t sunk in yet or won’t until I finally have a published book in my hand. It’s a story about a boy, Tommy, who is a vampire and trying to figure out what being human means even though he doesn’t remember being human. When I wrote it, I wanted to get away from the usual cliché of whining vampires. All the vampires seemed to bemoan their lost humanity and any vampires that didn’t were the bad guys. I wanted a vampire who enjoyed being a vampire, killed humans and was the good guy. What I ended up with was Tommy. It’s also a bit of a love story but not in a boy meets girl sense. It encompasses all kinds of love. Love for family, love for friends along with romantic love. What made you decide to become an Independent author? I think I’m a control freak. LOL! I was going to go traditional at first, but with all the changes in the industry and after doing some research, Indie just felt like the better option. I could make the final decision on everything, pick my own cover and get the book out faster. Growing up, I read for pure enjoyment, I wasn’t looking to books for inspiration. I do have an author who was the biggest inspiration for me to do this. Heather Brewer, author of Chronicles of Vladimir Todd (and soon The Slayer’s Chronicles. <3 Joss.) I love her books and follow her and check her site regularly. I just felt if she could do it, then I could at least attempt to publish a book. Plus she loves Green Day and that is just adds a hundred awesome points to a person. Does the small scene where Tommy’s brother, Danny is talking with friends about some child abductions and one says “Kate is freaking out, she won’t let Emmet out of her sight.” count since my sister Katy has a son named Emmet and she can be a paranoid mom at times? I am horrible with titles. I can’t sit and think up five different title possibilities for a story. One is pure luck. I didn’t do chapters; I did parts so I guess my favourite part is Part Three: Monsters. It was so fun writing Tommy’s four year old niece, Mackenzie and giving her a child-like innocence. Favorite scene is when she’s telling her mom about her day and Billy Duncan. Billy Duncan did this, Billy Duncan did that and her mom says, “Sounds like Billy Duncan has a crush on you.” Mackenzie’s reply is, “What? EW! Boys are gross, Mommy.” I don’t know if it will amuse readers but it amuses me. I’m hoping this blog tour works really well. I have the book listed on Goodreads and a facebook fan page. You can find me on twitter too. I plan on joining the kindle boards because I hear that’s a good thing to do and there a few kindle blogs I’m going to try to get on. I’ve asked a book reviewer I follow on twitter for a review (need to send him the book!) and plan on finding a few more. My biggest thing is to try it all and cross my fingers. I figure it doesn’t matter if you go Indie or Traditional, in the end you’re still crossing your fingers and hoping people find your book and buy it. In bed. Sometimes the shower. Pretty much any place where it’s inconvenient to have a pen and paper or computer. My mind is evil like that. Seriously, though? One story I got from a dream and a few others I’ve gotten inspiration from books. 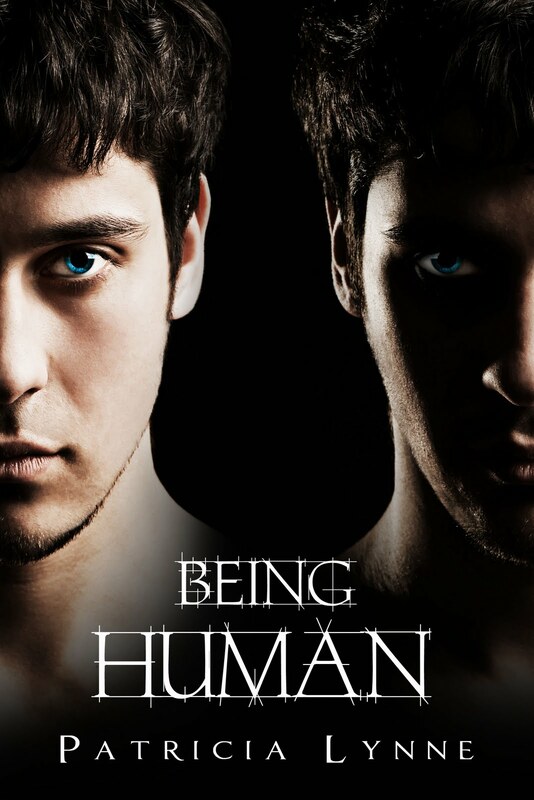 Being Human was partially inspired by MT Anderson’s Thirsty. It ended with such a hopelessness for the character and I couldn’t stop thinking up ways for a happy ending. Next thing I know, I have Tommy bouncing around in my head. Oh yeah, thanks for being a stop Nicole.